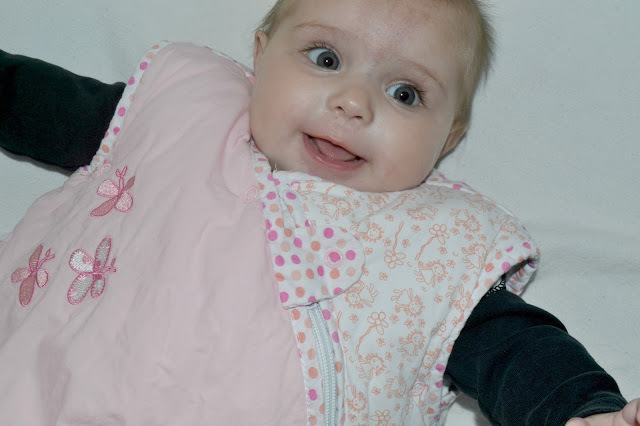 Harleigh was recently sent gorgeous baby sleeping bag dainty dolly from Slumbersac. When we moved her into her own room and her cot I knew that I wanted her to use a sleeping bag just as Paige and Parker did. They always loved theirs and knew that Harleigh would too. 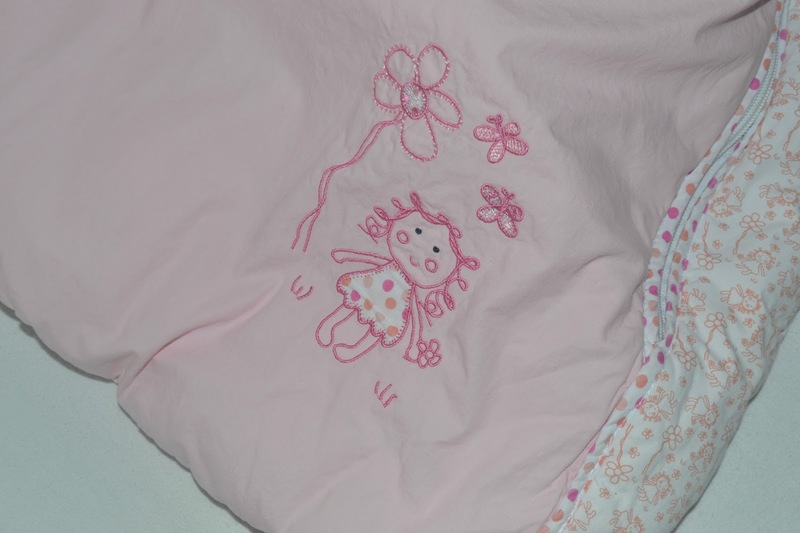 The sleeping bag is available in many different sizes and togs so there will be one that is perfect for your little one whenever they need it. The dainty doll print is really cute. Light pink and white with a gorgeous embroidered dolly on. The bag is 100% cotton and featured an off centre zip and poppers. The poppers are also under the arms and can be used when baby is on the smaller size and it makes it fit better, although with some wiggling Harleigh usually pops them open. Harleigh seems really comfortable inside and has plenty of room to grow. It washes and dries really well and is great quality. I can't recommend Slumbersac enough, we love them. I'm currently eyeing up the bags with feet in as they look great for toddlers! 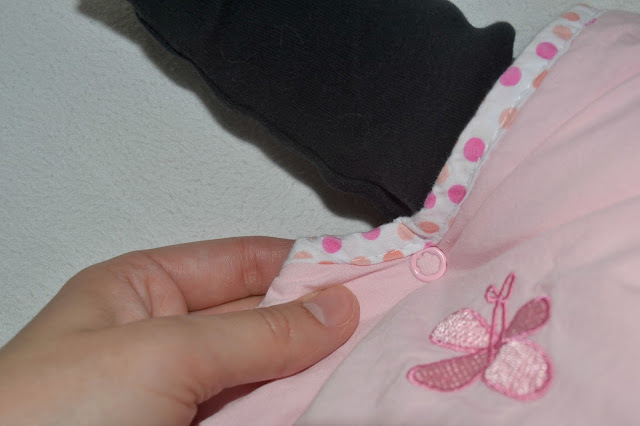 Does your baby use a sleeping bag?